Start Screen is one of the most popular and criticized feature of Windows 8, As Microsoft has removed Start Button and introduced Start Screen in Windows 8 and this step is loved by many and hatted by many too. Now when you install any app in Windows 8 it auto pin itself to your Start Screen and if you install lots of apps then your Start Screen might become messed up, there might be so many apps which you rarely use so those apps will not look good on your Start Screen. 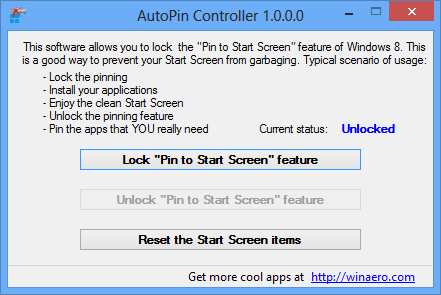 You can manually remove those pinned items but here is AutoPin Controller is a freeware app which block all apps to auto pinning to Windows 8 Start Screen. 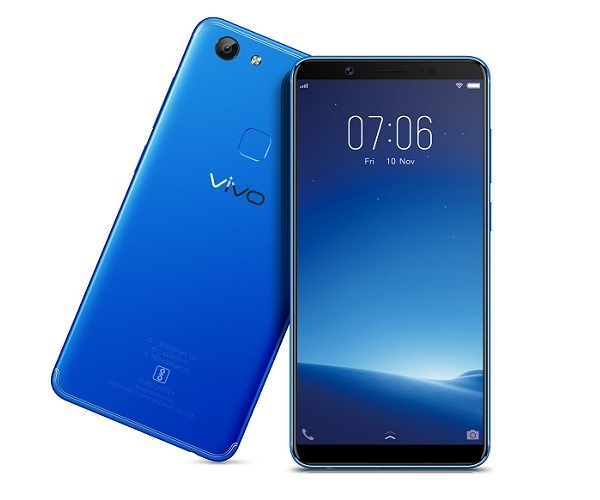 All you have to do is run this portable app and then click on Lock Pin To Start Screen Feature and then your installed app will not place any shortcut on your Start Screen. It also allows you to reset your Start Screen by removing all apps shortcut from it and set it as it was when you had installed Windows.